The nights are shorter, it’s getting colder, but it’s still full steam ahead for the team here at MODEX. We’ve had another busy month with thousands of graphic panels printed and cut and the MODEX fleet constantly on the road travelling to venues all over the continent. This month has also seen the team grow once again, our video wall has made its debut, and we’ve been working very hard over the past couple of years and working closely with organisers to become official supplier at an event in January 2018. This month we welcome a new member to the MODEX family. Charlotte Waller has started with us as part of the new business team – so be expecting to hear from her very soon on how we can make your next event the best one yet. Charlotte will be on hand to ensure you get the best possible custom modular solution to any space you require with a professional and engaging look and for an affordable price at just £295/sq.m. A few months ago, our range of modular stock increased with the introduction of BeMatrix’s video wall system. Creating a unique and engaging experience, whilst simultaneously generating a fluid and professional look for the stand and any company’s brand, the video wall provides an endless amount of creative solutions. Our video wall made its way across Europe this month on two different occasions, helping to make the businesses stand out amongst the competition. Making your business stand out an any event can be a difficult process, but with our extensive range of modular equipment and structures creating something that will help ensure your next event is a success is a hassle-free and reachable dream with MODEX. Read more about the video wall. For some it may still seem like quite a while away, but 2018 is just around the corner and getting prepared for another big year at MODEX is greatly on the agenda. We’ve been working very hard over the last few years with the organisers of a big event held in January to become the official supplier. The hard work paid off and MODEX are looking forward to supporting the show and its exhibitors for years to come. 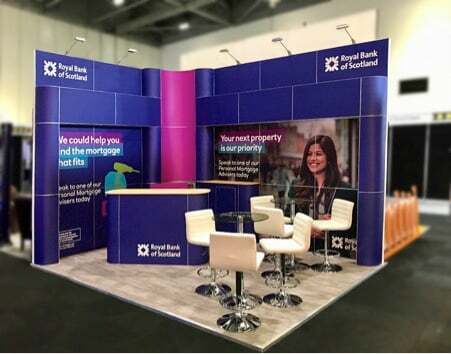 We work around the clock to ensure every client gets a specifically tailored and creative exhibition stand solution for their event. With our extensive range of services and products constantly growing and adapting to the modern world around us we are making sure that we keep on top of the game and consistently deliver a professional and affordable service to all. To catch up on all the latest news follow our Twitter feed.